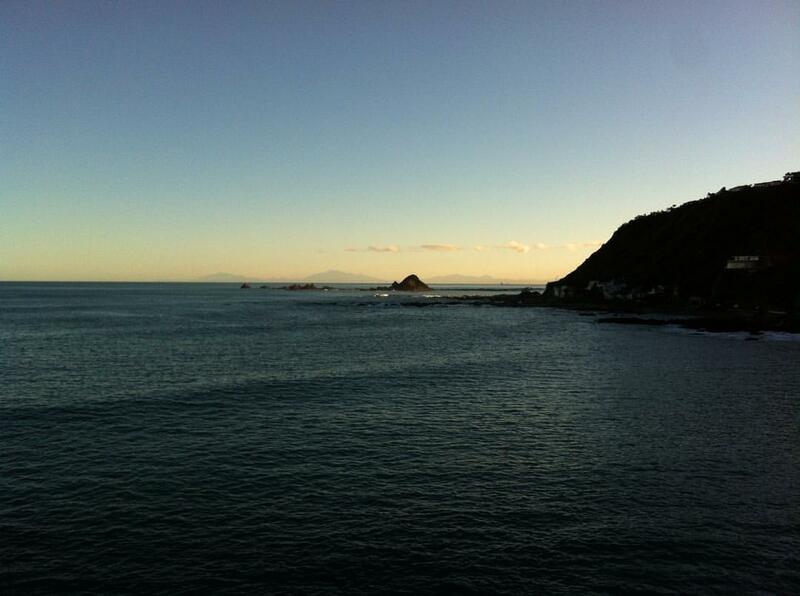 South coast walks with the South Island in the distance #nofilter #walks #beach #nz #wellington #autumn — at Houghton Bay. Wells Tao Hougton Bay, my ol haunt, off sucide rock eh? Shana Brown Yup Houghton Bay. Dunno about suicide rock? There's a fence that I lean against and feel a bit sick when I look down. Wells Tao use to live across the road. up a bit.. saw a few people jump. Nuts really. But there you go.